The FamilEU project will develop a digital training toolkit for adult trainers and professionals who already work in the areas of family care for many years. 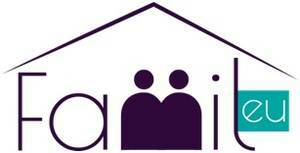 The aim of the FamilEU project is to equip the social workers and other relevant practitioners in areas of social welfare, provide training to family member, in order in their turn to provide a peer to peer support to members of their families who are in need, facilitate their (re) integration both in the society and in the market where appropriate. The FamilEU project provides the necessary practical, theoretical and pedagogical framework to train social work professionals, in order to educate EU families to meet the social, economic and professional challenges in an effective way. The FamilEU will be a toolkit, built on an online e-learning platform, which will host online training modules, social network applications, data bases, information material and manuals, for social work professionals on how to train adult members of EU families, in order to provide internal support to their family members in need. Additionally the FamilEU will be also available through a mobile platforms application.